For Emergency Service please call Toll Free: 1.866.334.7328. All Online service request are received and processed immediately upon receipt during normal business hours of 8AM-5PM Mon-Fri. After Hours or weekend online request are processed the next business day. 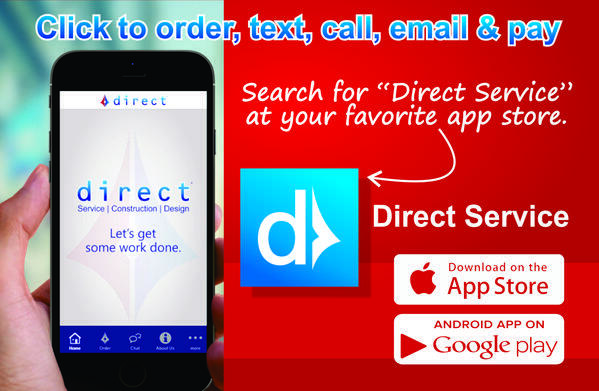 You can also download our NEW "Direct Service" app and order, text us, call, email and pay invoices on the go! Check this box to signup for our site mailing list for special discounts and promotional offers.